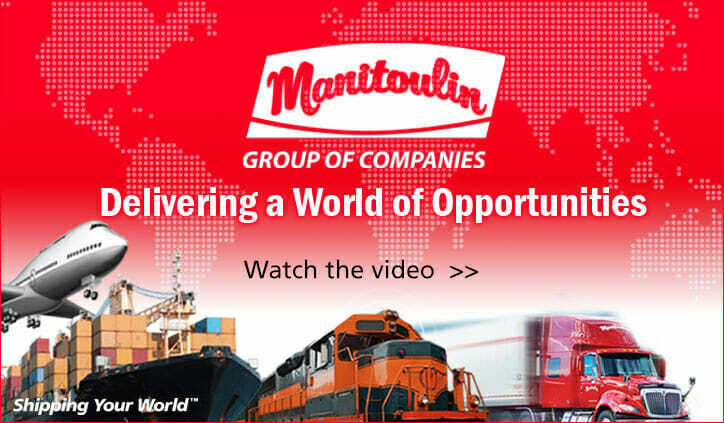 The Manitoulin Group of Companies is a merging of well-experienced transportation and logistics related organizations united to provide a single source global supply chain solution. The synergies created by the Manitoulin Group between all its divisions and resources enables them to provide customized and flexible services that complete your supply chain. With a portfolio of services that includes ground transportation, international freight forwarding, customs brokerage, logistics, warehousing, global time critical delivery, crating, heavy haul, residential and commercial moving, and supply chain management the Manitoulin Group of Companies is your single source to strengthen your network.